12 Must Try Toronto Brunch Places | Can’t Miss Toronto Brunch Spots That You’ll Love! Brunch and Toronto go hand and hand. The city has developed a strong brunch culture over the years with new and delicious brunch restaurants popping up in every neighborhood. The only problem? There’s almost always a line to get in the best brunch spots in Toronto, but it’s always worth the wait. There are so many amazing Toronto brunches to choose from for any budget and taste, here are my top 12 brunch places Toronto has to offer! Brunch doesn’t have to be just on the weekends. With non traditional work hours becoming increasingly common it’s nice to see a number of restaurants offering brunch times catering to those who can’t make it to Saturday or Sunday brunch in Toronto. Here are 12 of the best brunch places offering both weekday and weekend brunch. If Belgian Waffles are your favorite brunch item then Petit Dejeuner is the place to go for brunch in Toronto. This all-day breakfast spot has been serving up Belgian comfort food for the last 10 years. 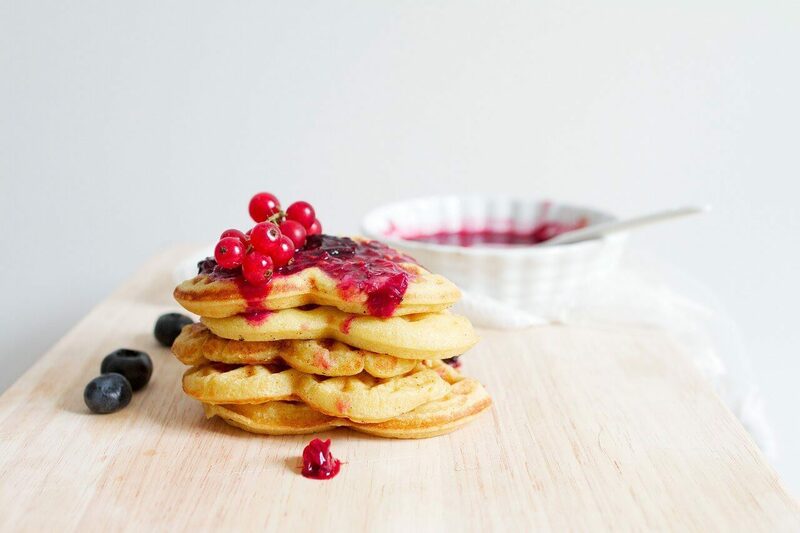 The owner and chef are of Belgian heritage and committed to using fresh ingredients and equipment to ensure an authentic Belgian Waffle experience. Light, crispy and airy, they are perfection. Golden Brussels style waffles on their own cost only $7. 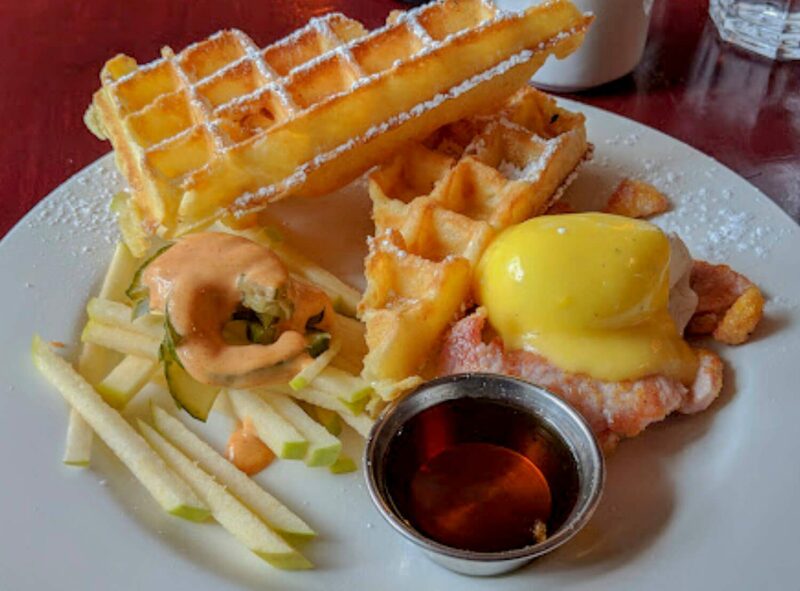 Petit Dejeuner also does excellent eggs benny and offers an item to get the best of both worlds: a waffle benny. Petit Dejeuner serves breakfast 8-3 Monday and Tuesday, 8-5 Wednesday-Friday, and for weekend brunch on Saturday and Sunday from 9am-3pm. Part art gallery, part brunch restaurant, Starving Artists continues to grow in popularity and now has four brunch locations across Toronto. 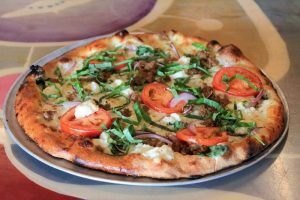 The restaurant aims to support local artists, showcasing new artists work every six weeks. As for the brunch, this place specializes in putting just about anything you want on top of delicious waffles. BLT with a waffle bun, eggs benny on a waffle, waffle bacon, or just a classic waffle with ice cream. They even offer gluten-free and vegan waffles. Waffles for everyone! Starving artist serves all day brunch from 9 am – 6 pm seven days a week. This quirky, retro style diner in the heart of Kensington market has been a Toronto brunch staple for over 20 years. With a great atmosphere, friendly staff, and creative and affordable brunch options it’s no wonder this place is always packed. During the summer, the outdoor patio makes this place even more appealing. 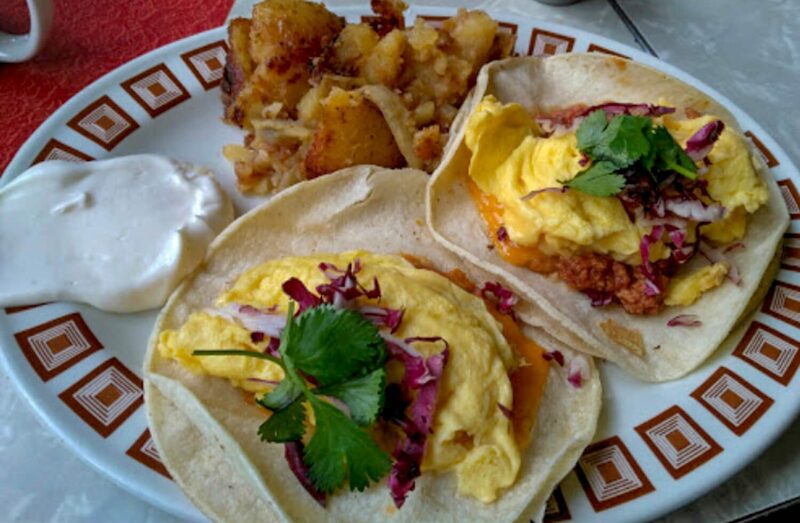 My favorite item on the menu is the breakfast tacos, a serving of smooth scrambled egg, ground chorizo and a refreshing cilantro crème on top of corn tortillas. This meal, with a side of potatoes or salad, costs less than $10. Just make to bring cash as they don’t accept cards, but there is an ATM inside. Aunties and Uncles is open 7 days a week from 9am-3pm. 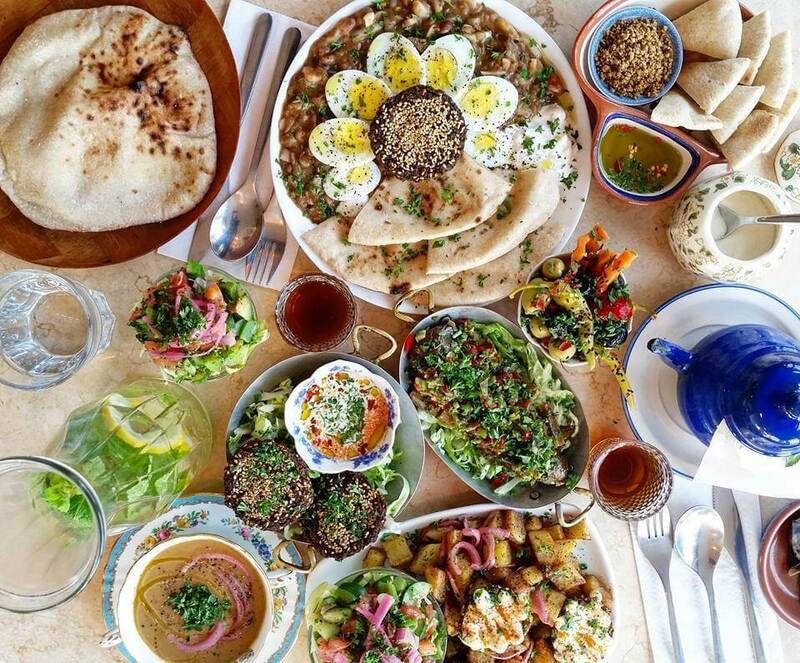 One of the many reasons I love Toronto is that you can find just about any world cuisine right in the city, and Maha’s fine Egyptian cuisine is a prime example of that. This unique restaurant takes 5,000-year-old ancient Egyptian staple foods and turns them into a modern-day delicious brunch. Walking into this intimate restaurant will make you feel although you’ve entered someone’s home, and the food is even more inviting. My favorite item is Maha’s Egyptian Falafel, soft-boiled eggs wrapped in falafel and drizzled with garlic sauce. The hummus at Maha’s is some of the tastiest I’ve had. And be sure to check out Maha’s award winning honey date grilled cheese. Maha’s is open from 8 am – 7 pm Monday to Friday, and from 8 am – 5 pm on weekends. They are closed on Wednesdays. This sunny and cozy restaurant is a hidden gem in East Downtown. Figs is best known for their eggs Benedict which you can always count on the eggs to be perfectly poached. The diner offers six different types of Eggs Benny suitable for vegetarians to meat lovers. My favorite? 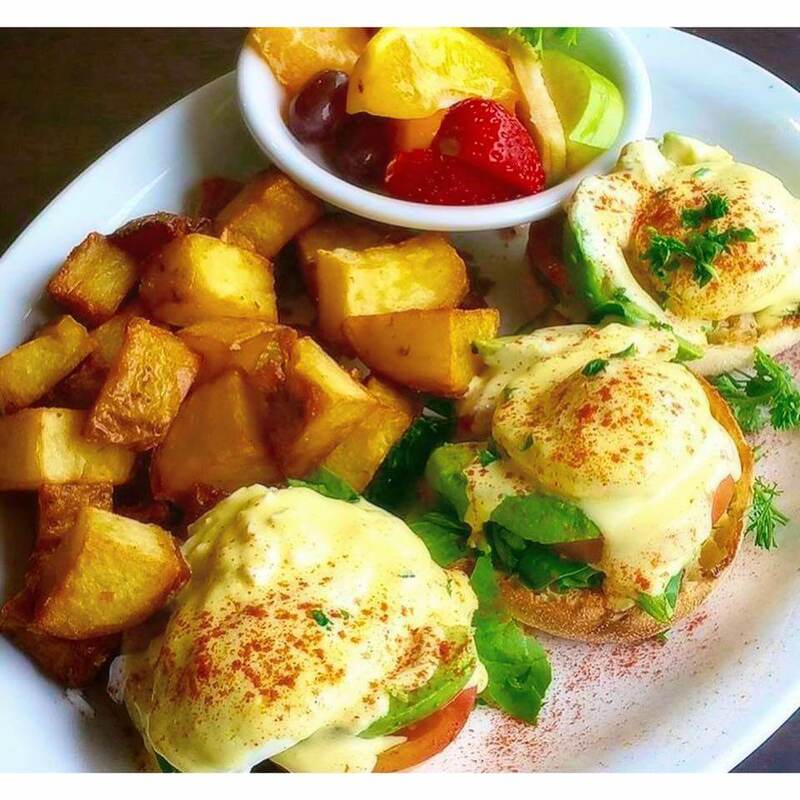 The Californian eggs benny, made with with avocado, spinach, and tomato. You can even add extra sides to your order to build the brunch of your dreams. Figs Breakfast and Lunch Restaurant is open 7 am – 4 pm seven days a week. 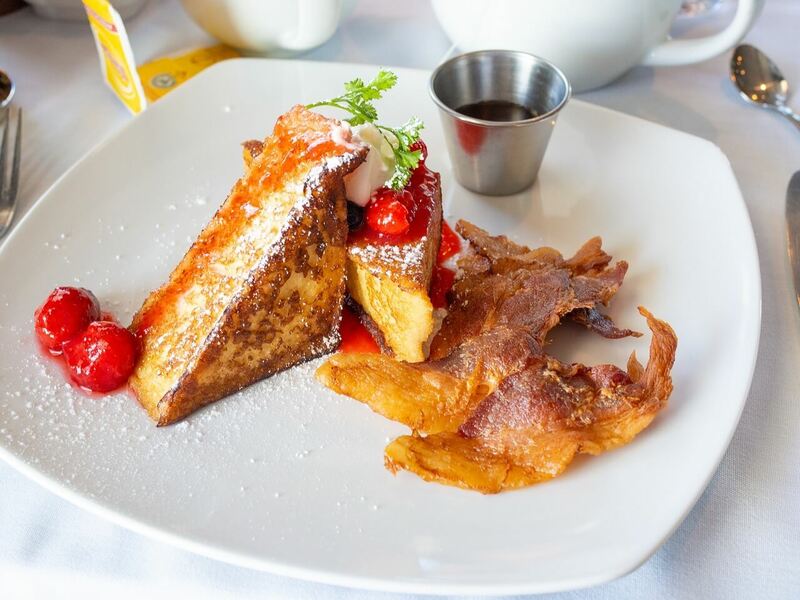 This all-day breakfast place is renowned for having some of the best French toast in the city, made using day-old baguettes from a nearby bakery. The bread is dipped in egg, milk, and nutmeg, then fried to perfection with a side of sweet fried bananas. For those who prefer savory over sweet, Saving Grace also has savory versions of the French toast, stuffed with apples, gruyere, and onion. Another must-try brunch item at Saving Grace is the Spicy Eggs Rajasthani, named for a state in India which inspired this dish. The owner learned to cook this item while on an overnight safari in the Indian desert and the flavors come through. Spicy scrambled eggs are mixed with tomato, red onion, and chili powder, accompanied by spicy paratha for scooping and classic chana masala, drizzled with cooling yogurt to top it off. Saving Grace is opened from 9am-3pm every day except Tuesday. One of my favorite things to do on a Saturday in Toronto is to go browse the stalls of the St. Lawrence Market, and Carousel Bakery is the perfect place to fuel up before or after shopping. This food stall in the St. Lawrence Market has crafted the peameal bacon sandwich to perfection. The breakfast version is even tastier, accompanied with egg and cheese on a county bun. Carousel Bakery also sells a variety of fresh baked bread and pastries to take home for later. This is one of the best places to grab a quick brunch in Toronto for those short on time. Carousel bakery is open the same hours of St. Lawrence Market, from 8am-6pm Tuesday-Thursday, 8am-7pm Friday, 5am-5pm Saturday. They are closed on Sundays and Mondays. Is there anything better going to Sunday brunch with friends after a night on the town? These weekend-only brunch spots are sure to cure any hangover. If not, just add more mimosas. Hogtown Vegan is one of the best brunches in Toronto for vegans. This creative restaurant sells southern style comfort food that’s entirely meat-free but equally delicious. 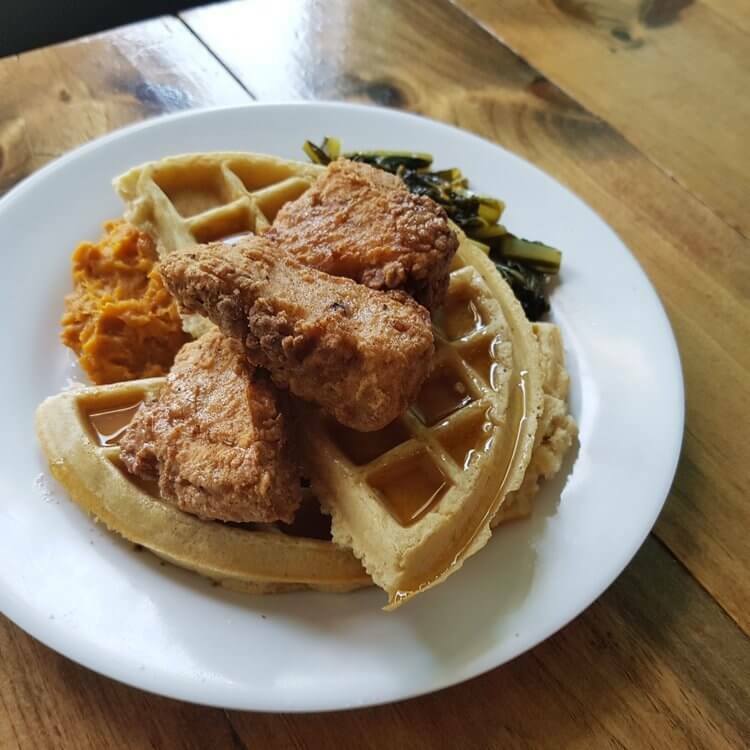 The signature dish is the unchicken and waffles, a stack of corn waffles toed with soy-breaded chicken. The restaurant has a lovely atmosphere with colorful walls decorated with vintage album covers. On the opposite side of the spectrum, Barque Smokehouse is one of the best Toronto brunches for meat lovers. 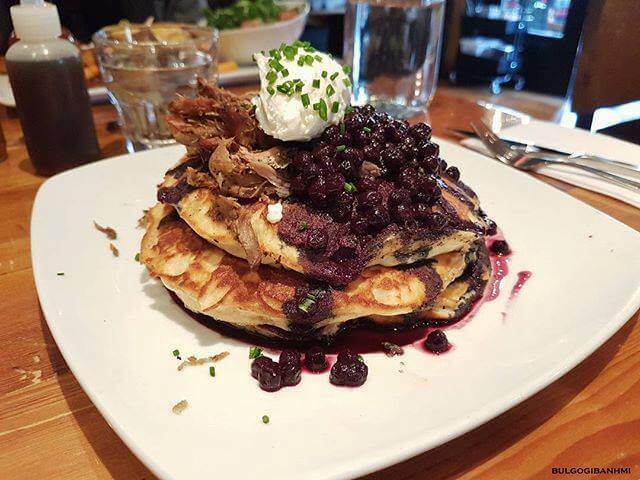 No need to choose between meat and sweets here, satisfy all your cravings with the smoked duck legs on top of a tall stack of blueberry pancakes. Other popular items on the menu include cornbread and brisket benedicts and scrambled eggs with smoked short ribs. This restaurant has a great atmosphere for families, with cartoons on the TV and coloring books distributed to kids. Barque Smokehouse serves Brunch on Saturdays and Sundays from 10 am – 2 pm. From farm to table, this is one of the freshest brunches you can get in Toronto. Farmhouse Tavern uses seasonal ingredients from Ontario you can feel good about eating. 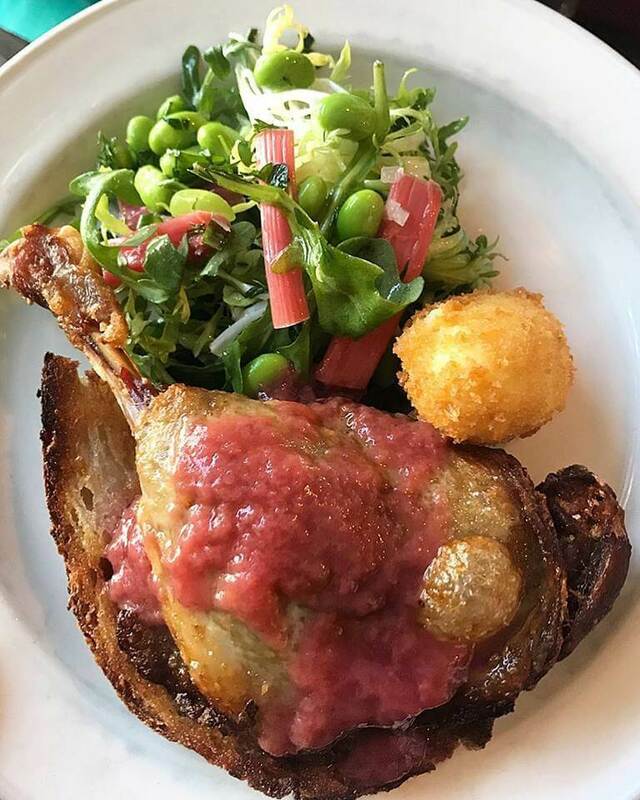 The signature dish is the Mother and Child reunion, a whole crusted duck egg with a serving of duck leg confit drizzled with blueberry compote. Another must-try brunch item is the Farmhouse Brunch Burger, a freshly ground burger topped with house-smoked bacon, goat cheese, lettuce, homemade special sauce, and a fried duck egg. The burger is messy, but the side of fresh cut fries is perfect for mopping up any leftover drippings. They even have an oyster garnished smoked caesar cocktail to wash it all down with. 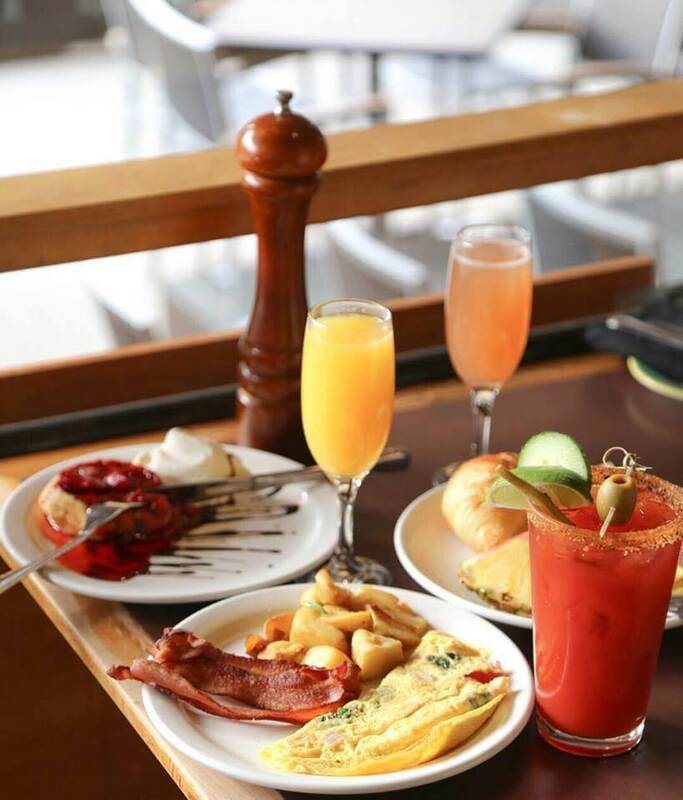 Brunch is served on Saturday and Sundays from 11 am – 3 pm, and they take reservations! Admittedly bias since Cabbagetown is my neighborhood, this restaurant never fails to disappoint my brunch cravings and always pleases any visitors I take. My favorite item on the menu is Shootine, a breakfast take on the classic Canadian Poutine. This dish features eggs, potatoes, cheese curds, bacon, and caramelized onion, all put together in one delicious bowl topped with hollandaise sauce. This is the perfect Sunday Brunch Hangover cure in Toronto. Plus, with $5 mimosas can you really go wrong? House on Parliament serves brunch from 11am to 3pm on weekends. There’s nothing I enjoy more on a Sunday morning than listening to smooth jazz and stuffing my face with brunch, and Hot House provides a socially acceptable setting to do so. This popular restaurant offers one of the best Sunday brunch options in Toronto, an all you can eat brunch for only $27 featuring food from all around the world with live jazz. 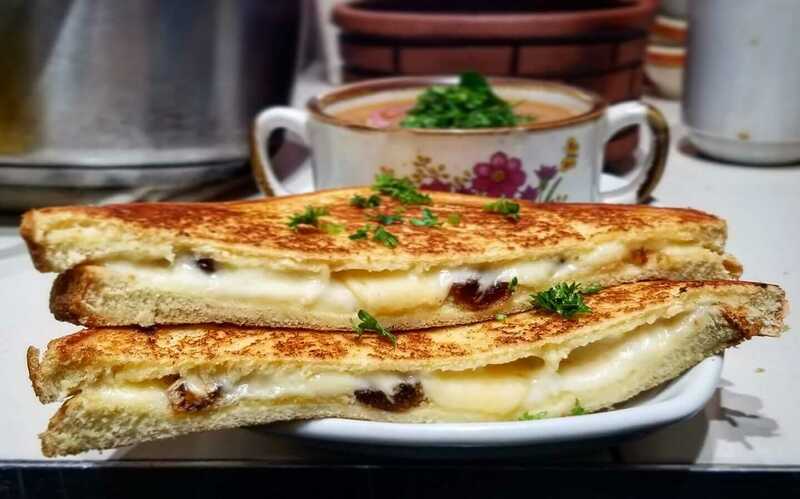 Some of the best items include carvery smoked ham, steamed mussels in white sauce, fresh Belgian waffles, hot apple crumble, and caramelized pecan French toast, and that’s just to name a few. Oh, and did I mention they have a custom omelet bar with a variety of gourmet ingredients? My only problem with this place was that I didn’t have enough room in my stomach to try everything. As a bonus, you can make reservations in advance which means no standing in line for brunch. Hot House Restaurant and Bar serves brunch on Sundays from 9:30am-3pm. Whether you’re coming for a weekend or a local resident, Toronto has a never-ending selection of brunch restaurants to meet any brunch craving and budget. 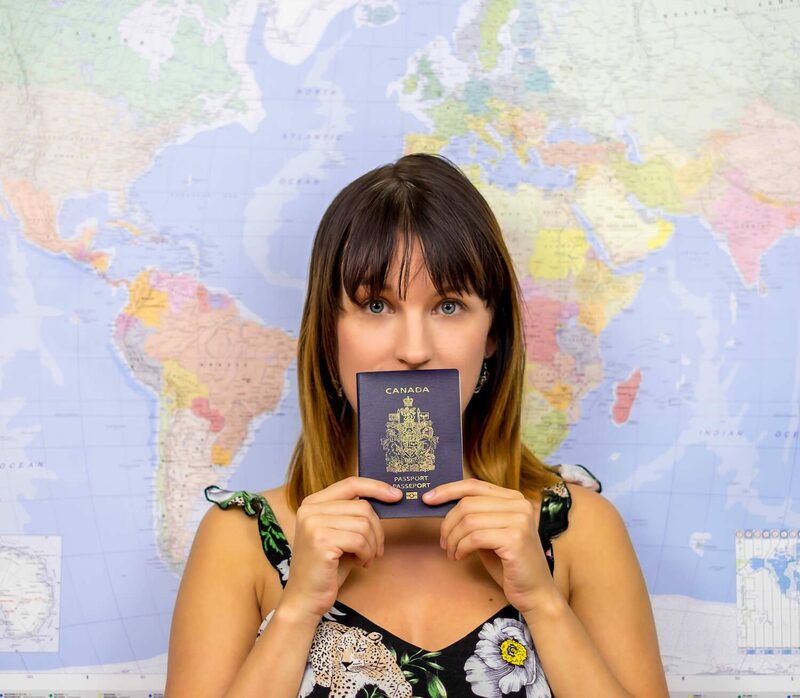 Lora is an adventure travel blogger based out of Toronto, Canada. Raised on a rock in the middle of the Atlantic Ocean, she has a deep love for nature and wildlife. Lora has traveled to over 50 countries and is working towards her of goal of visiting every country in the world, all while finding the best adventures that each one has to offer. 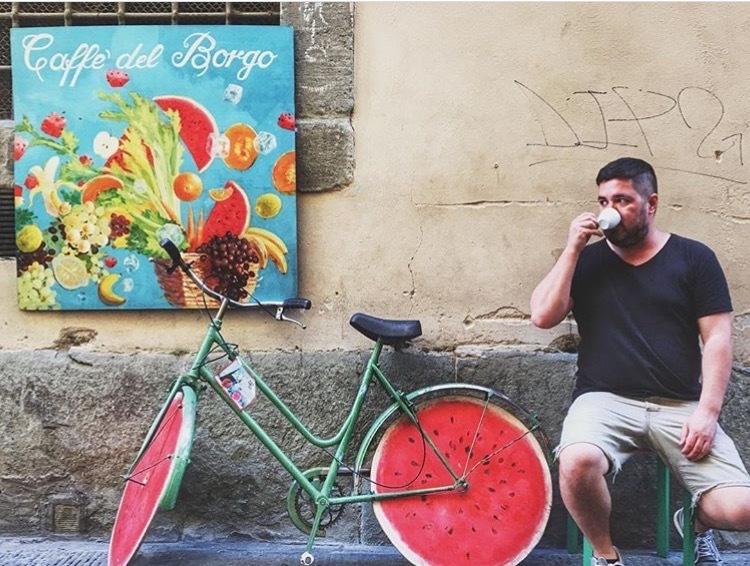 On her blog she shares her adventures around the world and aims to inspire others to find their adventure. You can explore the world with Lora on her blog or through social media.